Dates can be eaten out of hand (try dates rolled in shredded coconut), added to cereal, or used in baking cakes, cookies, puddings and sweet breads. 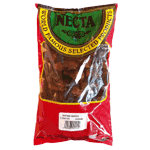 In North Africa, they are routinely used in stews or casseroles featuring chicken or lamb, steamed with couscous, or combined with citrus fruits and nuts in salads. 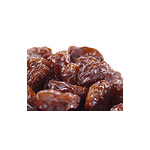 Chopped dates are an excellent substitute for raisins.